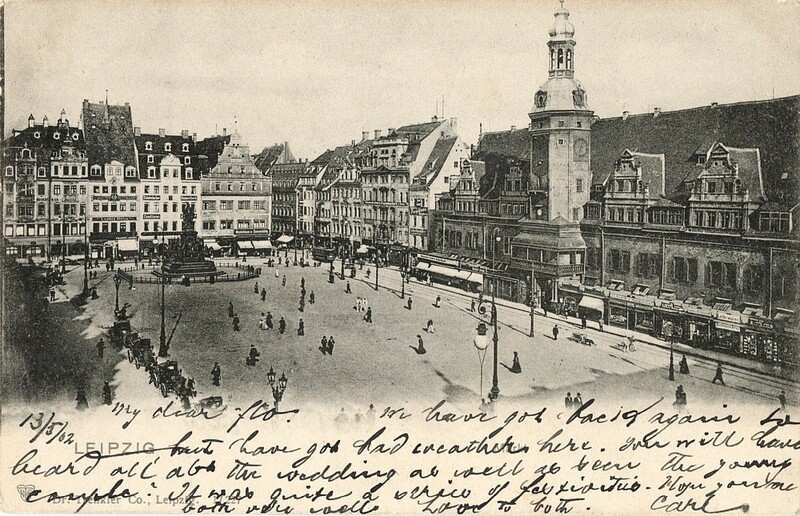 "We have got back again to Leipzig, have got bad weather here. You will have heard all about the wedding as well as seen the young couple ?" so schreibt es ein "Carl" am 13. Mai 1902 und grüßt die Daheimgebliebenen mit den Worten "Love to both".